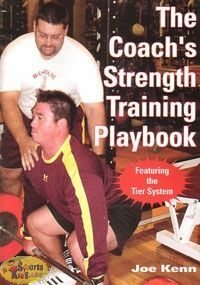 The Coach’s Strength Training Playbook describes the program design methodology of Coach Joe Kenn, 2002 NSCA Strength and Conditioning Professional of the Year. The Tier System Strength Training model is based on a structured rotation of exercises based on movement categories. Also included is how to develop the annual plan and designing training intensity cycles. 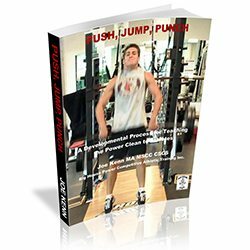 This is an extremely popular and useful book for any coach, therapist, trainer, performance specialist, and athlete who would like to know more on how to organize a very sound approach to 3 whole body strength training sessions in a 7 day microcycle. Price Includes Shipping and Handling for US orders only. For International Orders please contact coachkenn@bighousepower.com for shipping info.